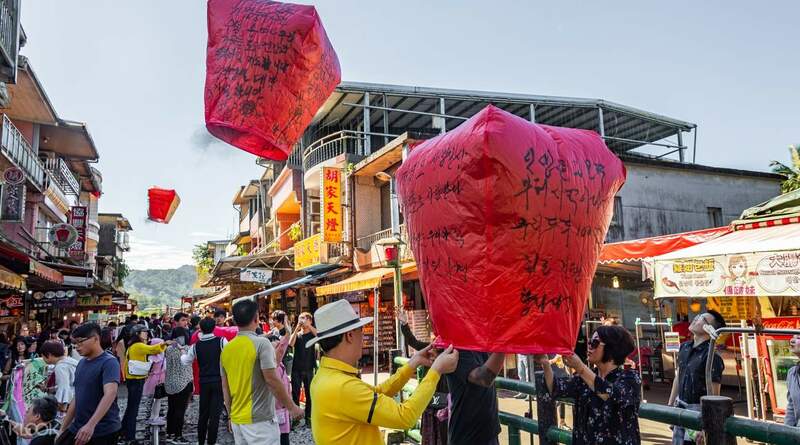 Experience the old-world charm of Shifen and Pingxi and get to make your very own sky lantern in this half-day guided tour. A friendly, local guide will pick you up from your hotel in downtown Taipei and whisk you off to the Pingxi District of New Taipei City. Here you will get a chance to participate in a local custom that has been practiced for over hundreds of years: building a sky lantern. Once used as a signaling system for those living and working in the railroad industry, today you can paint your wishes and prayers onto the lantern before releasing it towards the sky. 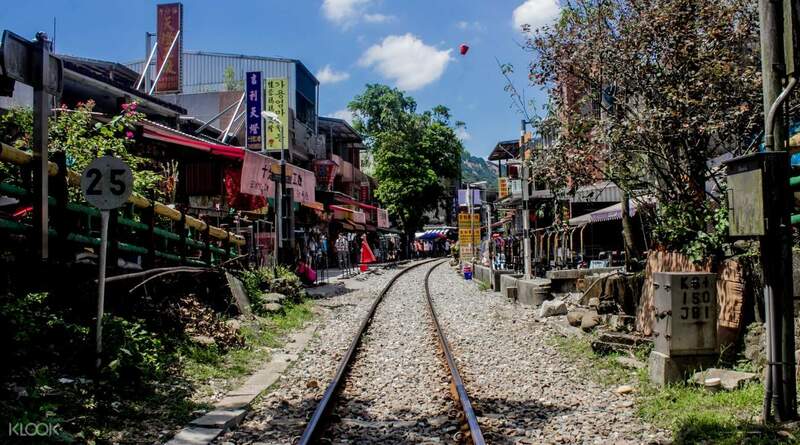 After this creative exercise, you will then explore Shifen Old Street, a collection of lanes and alleys in and around the Shifen railway station area. 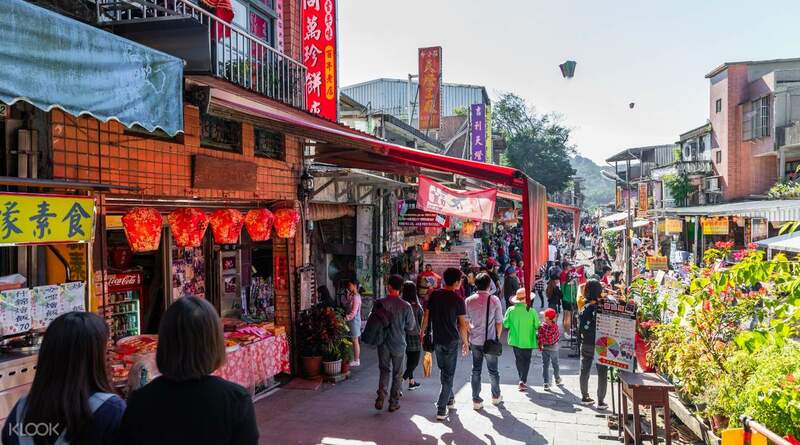 It’s a great place to grab some “xiaochi” snacks and quirky souvenirs. Your final stop is the scenic, 40-meter tall Shifen Waterfall, located 30 minutes away by walking northeast from the train platform area. Be sure to capture all your memories and keep snapping away with your camera! Shifen Railway Station was originally built for transporting coal but is now a famous tourist attraction! Participate in an age-old tradition as you release a sky lantern, a must-try for all visitors! My family enjoyed this tour. The Sky Lantern experience was a lot of fun. It was drizzling and windy, but our lantern flew nicely without any problems! The Shifen waterfalls was beautiful. We ate yummy Taiwanese snacks at Shifen too. Our tour guide, Alice Chen of Edison Tours is the best!!! She was very knowlegable, honest and friendly. I liked the way she handled our group. My family enjoyed this tour. The Sky Lantern experience was a lot of fun. It was drizzling and windy, but our lantern flew nicely without any problems! The Shifen waterfalls was beautiful. We ate yummy Taiwanese snacks at Shifen too. Our tour guide, Alice Chen of Edison Tours is the best!!! She was very knowlegable, honest and friendly. I liked the way she handled our group. Highly recommended. Picked up promptly from my hotel. Thomas the guide was a joy from the start to finish. His English was excellent and he knew a lot about the area. Arrived in Pinxi early before the crowds arrived, and there was plenty of time to meander around and explore. Group size was small (5 in total) which provided a very individual personal experience. I might even do this tour again! Highly recommended. Picked up promptly from my hotel. Thomas the guide was a joy from the start to finish. His English was excellent and he knew a lot about the area. Arrived in Pinxi early before the crowds arrived, and there was plenty of time to meander around and explore. Group size was small (5 in total) which provided a very individual personal experience. I might even do this tour again! When we were there, it was raining but despite of that, we really enjoyed the tour, the sky lantern was awesome, the falls were amazing and beautiful, the food were delicious. Overall, the tour was great. When we were there, it was raining but despite of that, we really enjoyed the tour, the sky lantern was awesome, the falls were amazing and beautiful, the food were delicious. Overall, the tour was great. One of the best tour guide. Very informative and talkative tour guide. Shifen will be the best tourist spot, we love the lantern experience since my friend lost her daughter and able to write her feeling thru lanter. One of the best tour guide. Very informative and talkative tour guide. Shifen will be the best tourist spot, we love the lantern experience since my friend lost her daughter and able to write her feeling thru lanter. It was an awesome experience. The tour was on time. The tour guide is very fluent in speaking in english and he also suggest after our half-day tour, we can be dropped off at the Taipei 101 instead of going back to our hotel. My family and I were so happy when we tried writing our wishes on our lanterns. It was a sunny and hot day yet it was meaningful. We’ll definitely go back and book this trip again. Thank you Klook! To more adventures! It was an awesome experience. The tour was on time. The tour guide is very fluent in speaking in english and he also suggest after our half-day tour, we can be dropped off at the Taipei 101 instead of going back to our hotel. My family and I were so happy when we tried writing our wishes on our lanterns. It was a sunny and hot day yet it was meaningful. We’ll definitely go back and book this trip again. Thank you Klook! To more adventures! Experience Shifen by flying lanterns. The tour guide is on time and the trip over all is smooth. I have the lantern all by myself so thanks to Klook! If you’re looking for a tour and you don’t have much time to have a DIY trip, book now! Experience Shifen by flying lanterns. The tour guide is on time and the trip over all is smooth. I have the lantern all by myself so thanks to Klook! If you’re looking for a tour and you don’t have much time to have a DIY trip, book now! 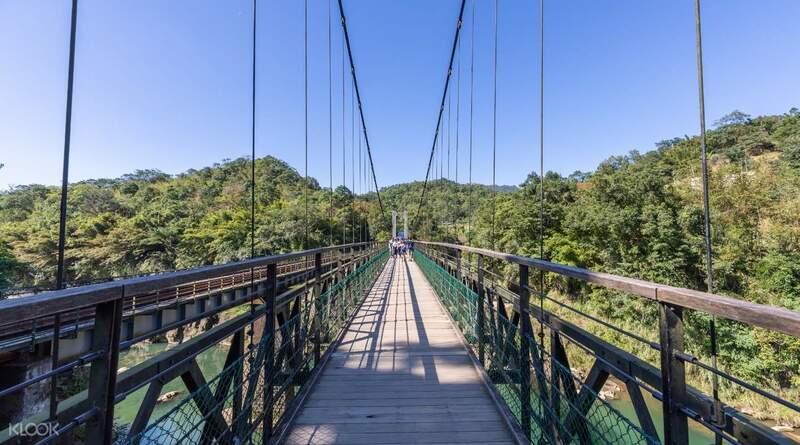 The Shifen guided tour is only a half-day tour yet visitors will be able to see many famous landmarks such as the Shifen waterfall, Jingan suspension bridge and the Ping Hsi Railway Line. Of course the highlight of the trip is writing down one’s wishes on a lantern and having the latter flown to the sky. The sky latern activity is a great bonding experience for families and even friends, and a unique one at that. For me, visiting Shifen will always be one of my great memories of Taiwan. 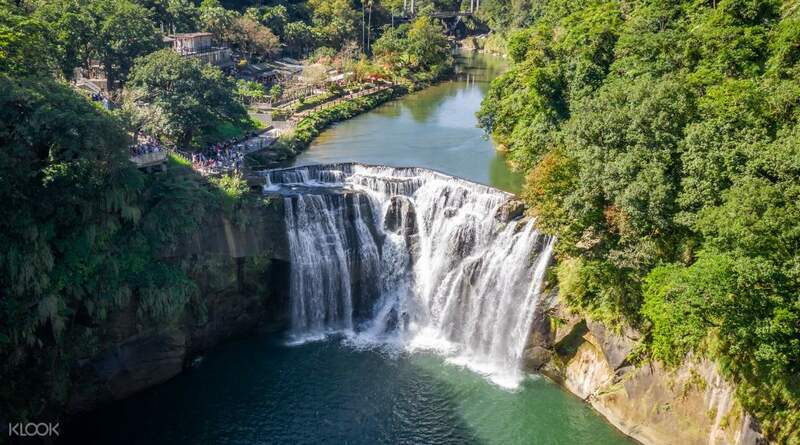 The Shifen guided tour is only a half-day tour yet visitors will be able to see many famous landmarks such as the Shifen waterfall, Jingan suspension bridge and the Ping Hsi Railway Line. 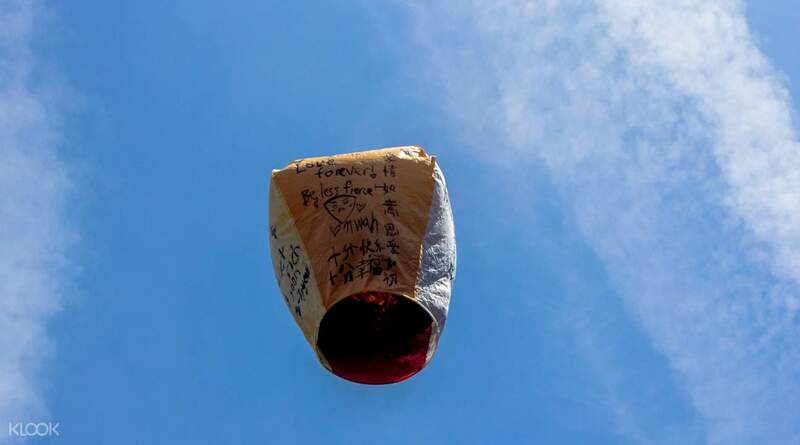 Of course the highlight of the trip is writing down one’s wishes on a lantern and having the latter flown to the sky. The sky latern activity is a great bonding experience for families and even friends, and a unique one at that. For me, visiting Shifen will always be one of my great memories of Taiwan.